Who is the Toei Spider-Man Takuya Yamashiro? meter tall robot named Leopardon. First Appearance: "The Time of Revenge Has Come! Beat Down Iron Cross Group!!" Check out these awesome Spider-Man Toys. 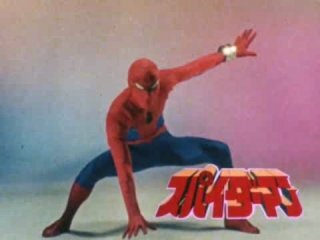 The Toei Company in Japan acquired the rights to create a Spider-Man TV show in the 1970s. At the time in Japan shows with big monsters like Godzilla were the rage. The Toei Spider-Man is thus a merged version between Spider-Man and the Power Rangers. The Toei Spider-Man calls himself the "Emissary of Hell" and fights giant monsters to defend Japan. His giant robot Leopardon has a huge sword that can pretty much kill anything in one swipe. He also strikes some really cool karate Spider-Man poses as he defeats evil. One of the Spider-Men recruited to aid the Spider-Army against the Inheritors is Takuya Yamashiro. He and the other Japanese Spider-Man arrive to help just in the nick of time. The father of the Inheritors Solus had just absorbed all of the power of the Cosmic Spider-Man and was preparing to wipe them out. Takuya Yamashiro arrived and battled Solus in his robot Leopardon. The Spider army managed to escape including Yamashiro but at a stiff cost, Leopardon was destroyed. Spider-Man 2099 and Lady Spider find the wreckage of Leopardon and debate whether they can repair the massive robot. If the show looks like Power Rangers that is because Toei went on to make the Power Rangers after Spider-Man. Toei Spider-Man's powers seem to be similar to that of the main 616 Spider-Man however he does use gadgets, guns and also has a giant robot called Leopardon.